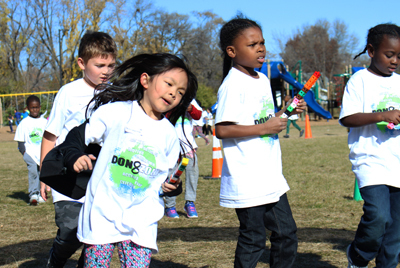 Stevenson Elementary students participated in a Fun Run fundraiser on October 31, 2018. 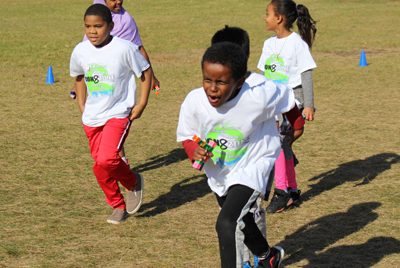 During the school day, each grade-level took a turn to run laps, collecting a Lego block to represent each lap. 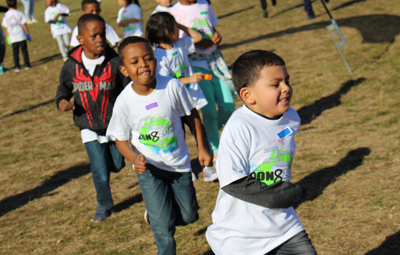 Families pledged to donate a certain dollar amount per each lap that their child completed, up to a maximum of 38 laps. The fundraiser was held by the Stevenson Parent-Teacher Organization (PTO) to raise money to benefit Stevenson students. The funds will support various initiatives including field trips, family-centered events and special projects. The PTO was collecting funds until November 7, but the current tally is over $4,000. 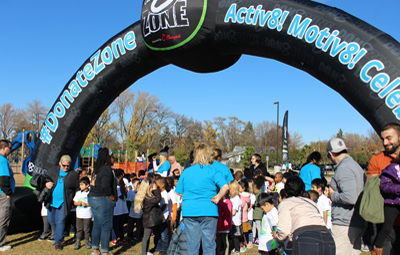 Stevenson PTO president Shanna Larson said the weather was perfect for an end-of-October fun run and students, as well as parents, were able to enjoy the beautiful day while raising money for a great cause.